One of a kind. You will receive this exact ring! This stunning ring features a large chocolate rosecut diamond cushion center. While it is 1.5 carats, the rose cut originating in India is flat underneath giving it the look of a much larger stone. .20 carats more of round natural diamonds. 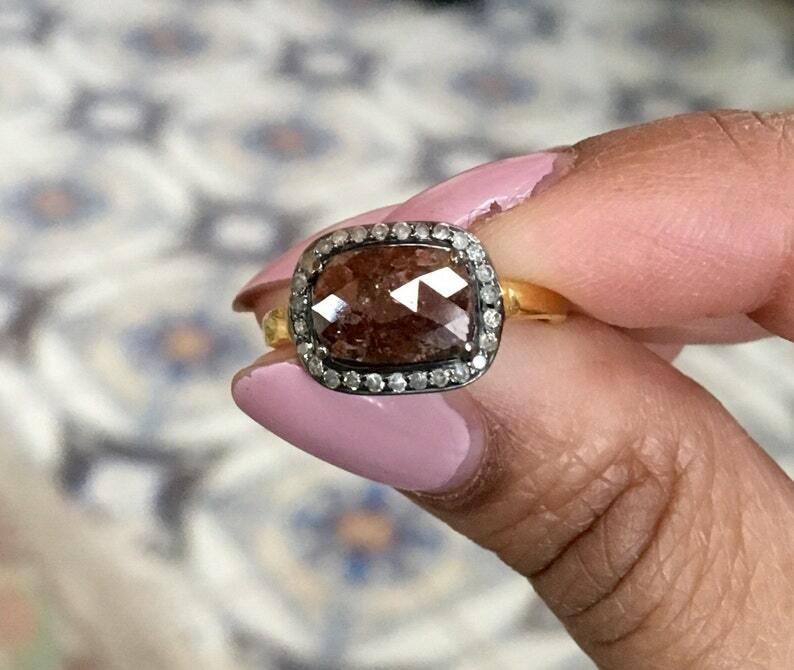 These are natural tinted diamonds. Setting is antiqued. Entirely Set it sterling silver, brushed in yellow gold along the band for contrast.